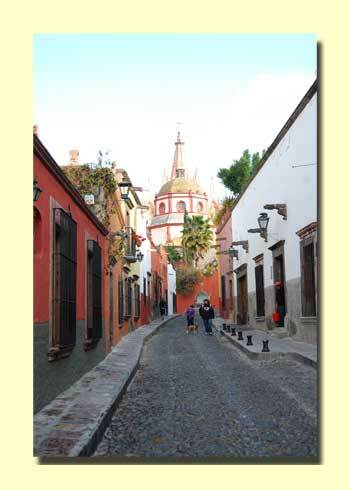 This year we decided to take some time to enjoy San Miguel. 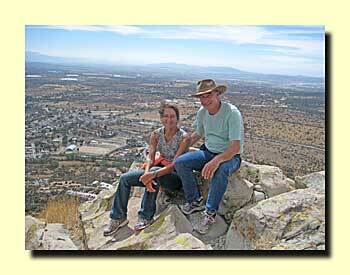 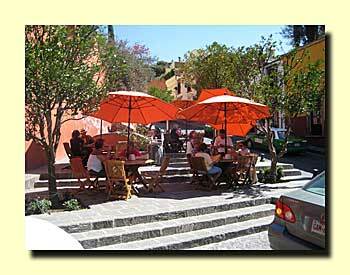 We spent the entire time in the San Miguel RV Park, a very convenient and comfortable place. 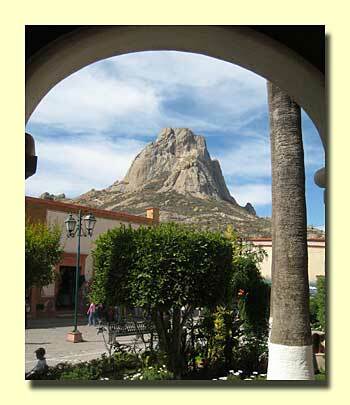 Our days passed quickly as we enjoyed the special ambiance of the city, not to mention the classes in Spanish and jewelry-makiing and the great restaurants and activities. 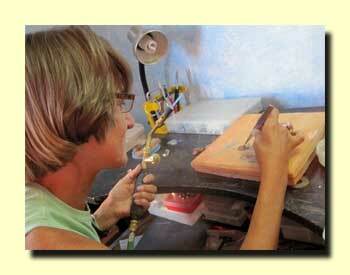 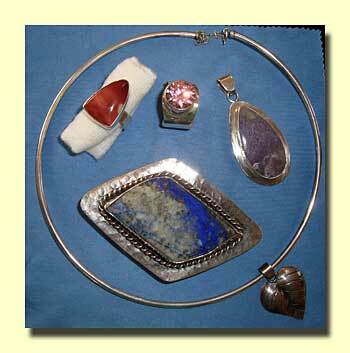 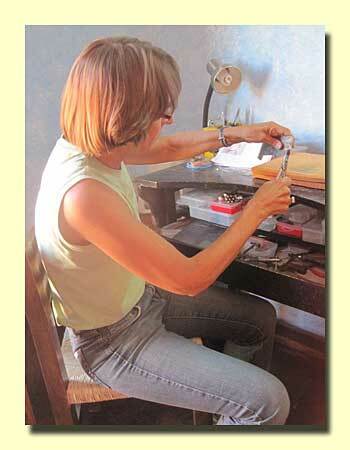 This year Terri took a three-week jewelry making class in San Miguel. 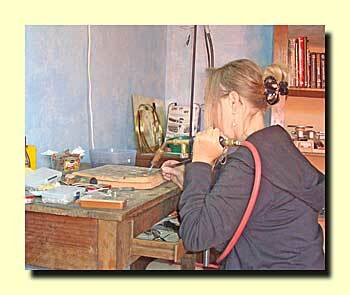 It's just one of many art classes available in the city. 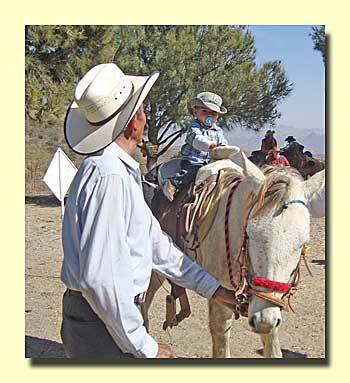 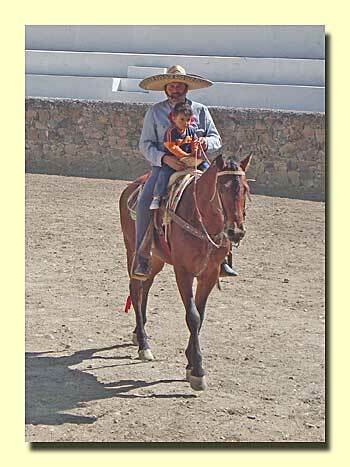 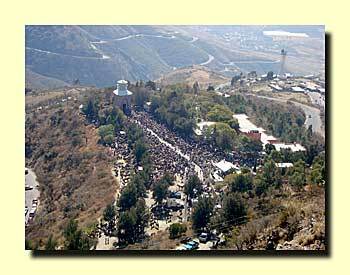 On January 6, Three King's Day, thousands of horsemen ride to Cerro del Cubilete to be blessed. 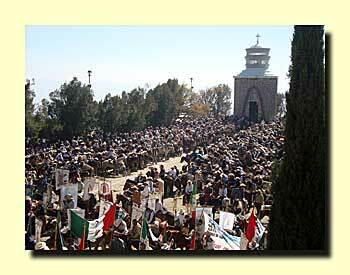 It's quite a gathering! 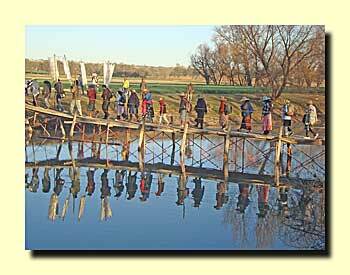 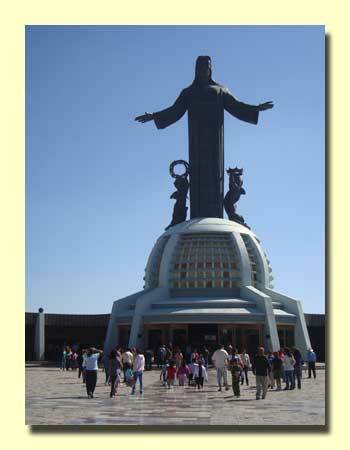 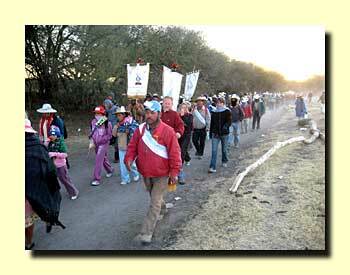 On January 24 one of the processions of pilgrims bound for San Juan de los Lagos comes through San Miguel. 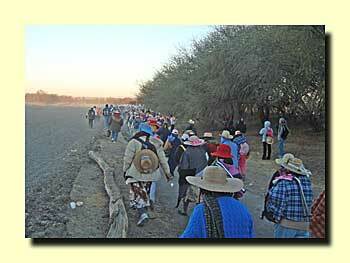 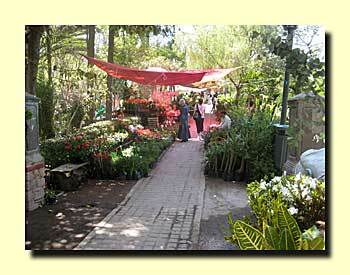 They meet in the central Jardin at dawn, and then walk on toward San Juan de los Lagos, about 125 miles away. 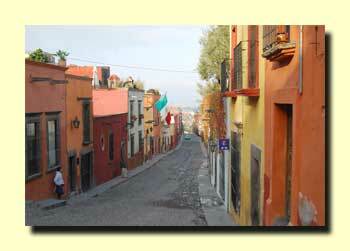 The town of Bernal is one of Mexico's Magic Pueblos. 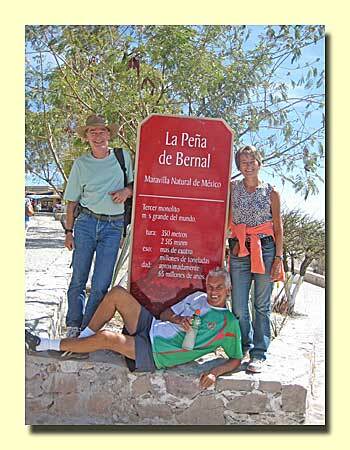 It's 70 miles from San Miguel and makes a great day trip. 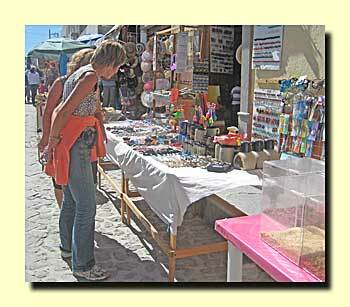 After the Climb - Shopping! 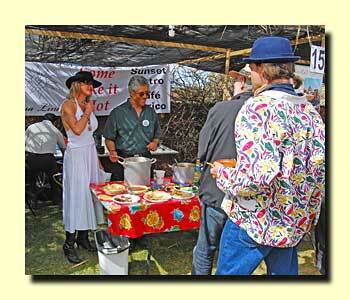 A highlight of the San Miguel social season is the Annual San Miguel Chile Cookoff. 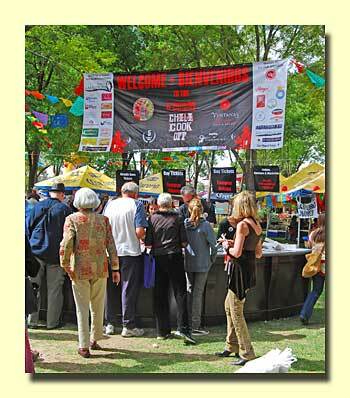 The chile-cooking competition is brutal, and most of the town seems to come to help decide the winner. 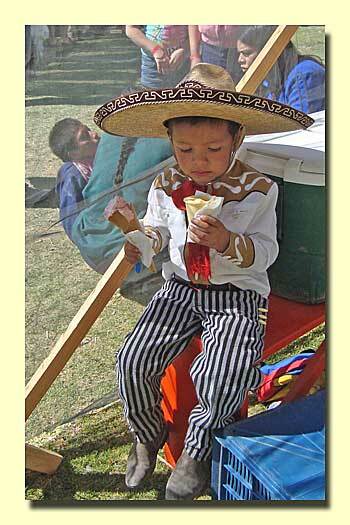 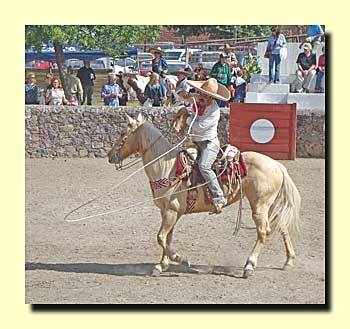 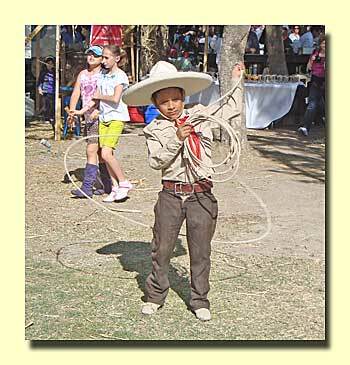 There's also a great Charro exhibition. 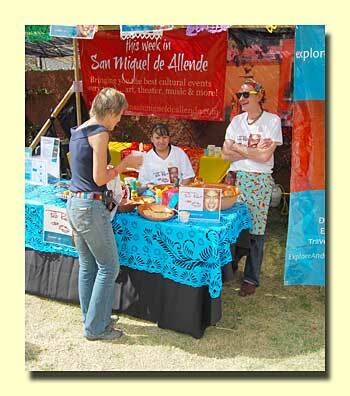 This year the event was held on January 29.